Nearly two days before the official release of the iPad mini, Apple's mini Smart Cover accessories are already hitting people's doorsteps. 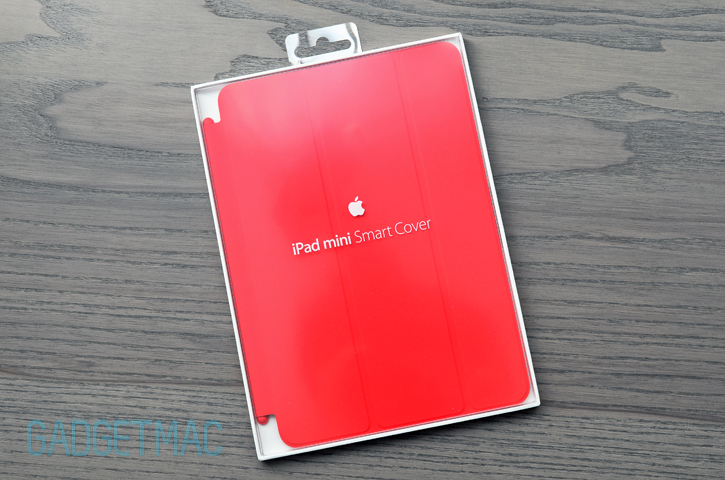 The new iPad mini Smart Cover sells for $39, not a dollar less, not a dollar more than the original iPad Smart Cover. Apart from the obvious smaller size, the Smart Cover for the iPad mini is an even simpler polyurethane-made cover that uses an all-polyurethane magnetic hinge instead of the more premium-like aluminum version found on the larger Smart Cover. And we're scratching our head brains right now, because while this is a less costly and smaller accessory compared to the original, Apple is charging us equally. Essentially overpricing what should have been a fully protective Apple Smart Case instead. 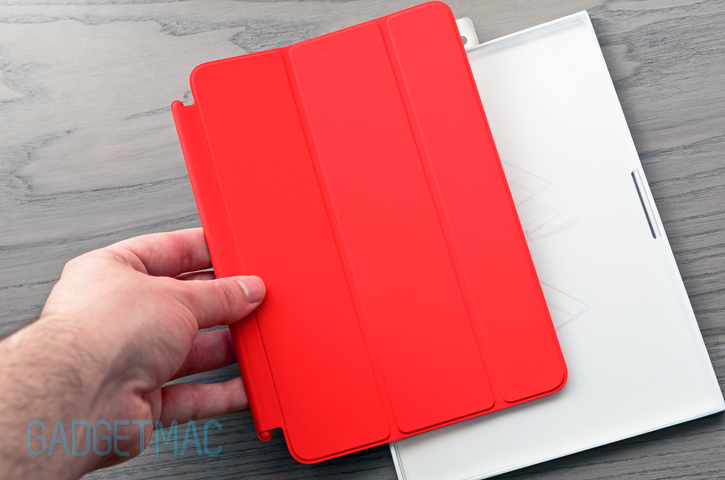 The iPad mini Smart Cover is only available in a polyurethane version with a color selection that includes red (Product Red), dark gray, light gray, green, blue and pink. Even though it may look less fancy and magical, the iPad mini Smart Cover is without a doubt a Smart Cover from a functional standpoint. It magnetically clings onto the side of the iPad mini , and can fold into a triangle and magnetically keep itself together to form two different types of viewing angles - one for typing and one for your landscape viewing pleasure. The mini version of the cover is separated into three foldable segments as opposed to the four on the larger version, and as a result, it feels less substantial and robust. Though with the smaller size and weight of the iPad mini, this shouldn't really be a cause for concern. Now that the hinge is fully covered, or should we say entirely made from a soft and pleasant to the touch microsuede material which comes in contact with the aluminum of the iPad mini, scratching and scuffing concerns are a thing of the past. 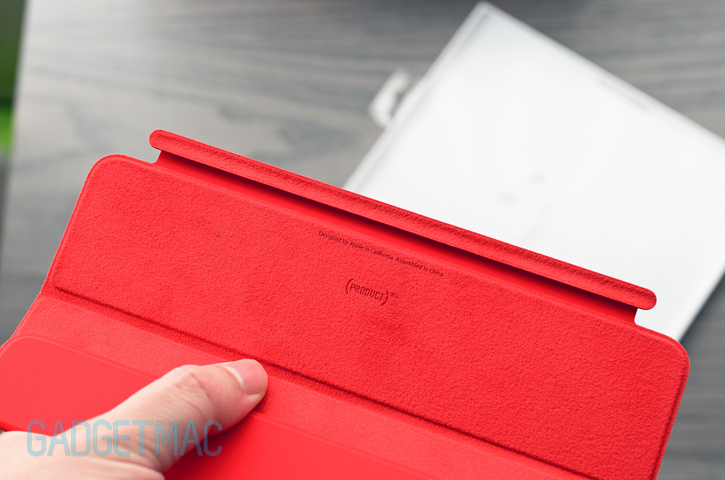 While the aluminum hinge found on the iPad Smart Cover gives a more premium look and feel to the product, this little all-polyurethane Smart Cover should hold up very well overtime as well as being much lighter. This has been a hands-on and first look of Apple's new mini Smart Cover, expect our full review of the iPad mini Smart Cover in the coming days!